Step 1: Grab something to write on – a piece of paper, a whiteboard, a window, the snow…Get creative! 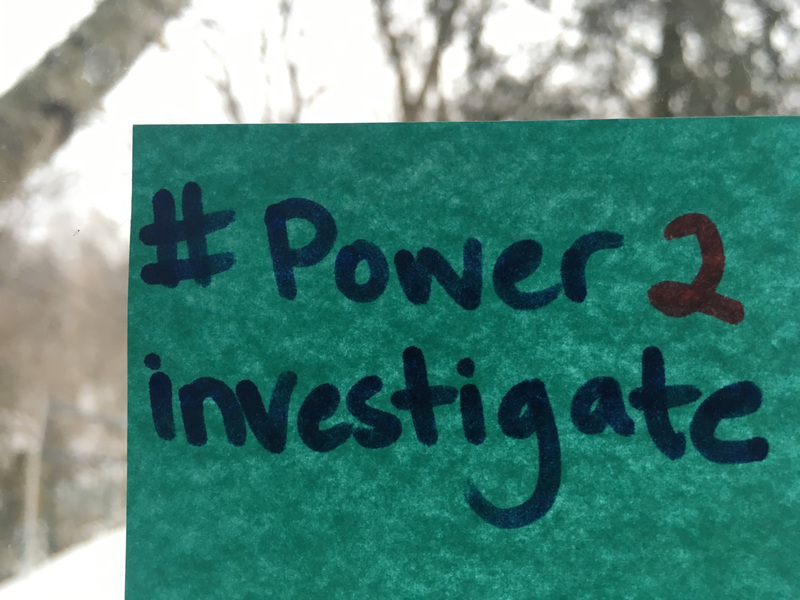 Step 2: Write #Power2Investigate and take a picture. Step 3: Use that photo in a daily tweet to your Member of Parliament. Write your own or use one of the samples below.